Easter is a very special moment, a bit 'because after Christmas is the feast being felt by young and old, a bit' because it coincides with the beginning of summer. 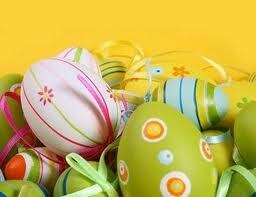 Easter is characterized by two sweet symbol. The dove, symbol of peace and freedom and 'chocolate egg that has more ancient origins. The egg, in fact, has for centuries been the symbol of life. Many ancient peoples, from the Egyptian, considered him the centerpiece of the four elements of the universe. 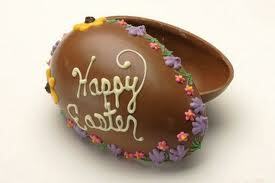 In the last century, the chocolate egg and replaced the chicken has become the symbol of Easter gift. There are many ways to create decorative eggs that can turn even an original gift. In such an atmosphere of joyous rebirth, what is the best way to celebrate than to prepare a good meal to enjoy happily in the family (Click on Nuxia's menu but not only") before breaking the egg (perhaps, prepared with the recipes below this post)? A proverb truly says: "Christmas with your family and Easter with whomever you want ...". But, basically, the people with whom you most want to live the most important festivals are perhaps not their relatives? 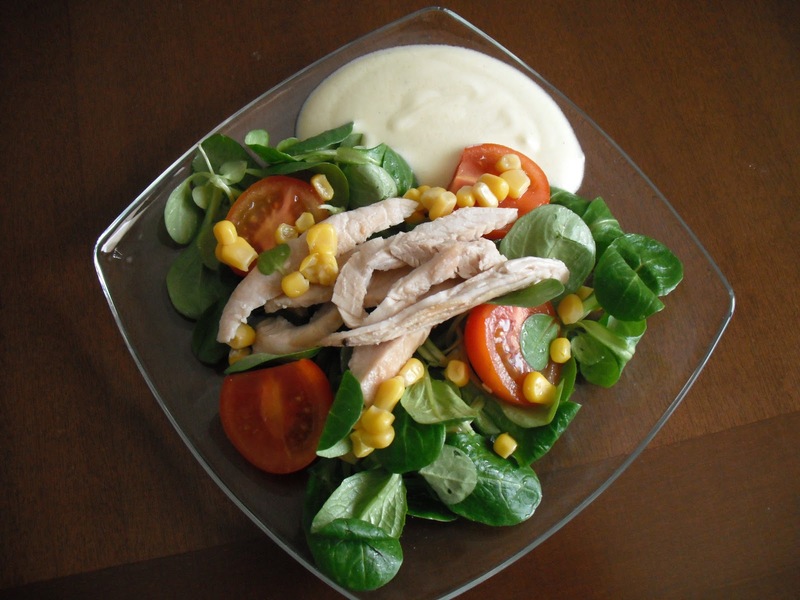 And then you may start the preparations for Easter dinner! For friends, is still the day of Easter, spend time together, perhaps in the open air, enjoying a good slice of pie classic "Pasqualina". Get the molds in the shape of an egg of the desired size but which are transparent. Melt chocolate in double boiler or microwave to a temperature of about 40/45 ° C (use a cooking thermometer) and proceed with the tempering of chocolate, only with this technique, the chocolate will be bright and shiny without white veins: Pour the chocolate on steel or on the marble and spalmalo and widen it with a spatula to cool it rapidly until it reaches the temperature of 30 ° C, and finally riuniscilo amalgamalo then heat it again until it is soft and creamy at a temperature which is not less than 20 ° C, if fondant or 30 ° C, if the milk. At this point, pour the molten chocolate in the mold and move it gently until perfect adherence of the layer over the entire surface, removes the excess chocolate riversandola in the initial container; repeating the operation, when the chocolate is cooled and receive a layer of Chocolate bigger. It rest the mold and put it on a layer of baking paper so detaching the first half of the egg Easter then repeat to create the second half. Once solidified the chocolate with a knife trim the two halves. After entering the gift heated a knife and pass the hot plate on the edge of the two shells and combine them. Wrap the egg with foil and wear it with colored tulle, crepe paper, fabric or other material and adorn with flowers and colored cords. enter the eggs in a pan and make them boil for at least 10/15 minutes, must be very hard. 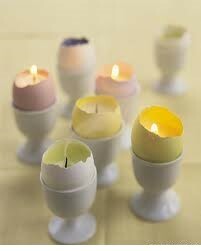 Make them cool under running cold water, then gently break the shell with a spoon or by rotating the egg in a cloth. The shell must not detach from the egg but they must only appear cracked. Put the egg into the water and add food coloring (for the classic marble-add soy sauce, black tea and cinnamon) and simmer for an hour by adding two tablespoons of vinegar and hot water as needed. Once cooled the eggs and wrap them in plastic wrap in the refrigerator riponile. Totime consuming and takes away the shell you will get some beautiful marbled eggs to be enjoyed as an appetizer on Easter Sunday. here is a very choreographed to create a placeholder or a centerpiece. 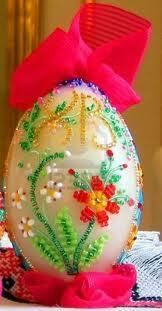 Get the eggs of polystyrene, colored modeling wax, pearls and beads, braids and colorful rhinestones, glue wine. Work with your hands until the wax to make it soft and roll the egg, then sprinkle with the trimmings applied with just the touch of your hands, add the beads, taking a pin and incastonandole in wax, with stops and rhinestone pins. To place the egg on the table you can use the egg cups or ceramic timber or place it on a napkin leads that you can decorate as desired. 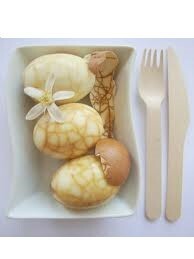 To make some simple but decorative eggshells proceed as follows: clean the shell with water and vinegar, empty egg shell in breaking the sharp part being careful not to split the rest. Supports the shell on top of an egg cup and paint using tempera, choose a color that harmonizes with the hues with which you will want to make the wax. Take small pieces of dough with oil and melt them together with wax and paraffin, then you pour the mixture into shells, being careful not to drip out. Add to harden the shell. When you create a thin veneer at the top enter the wick. After about 12 hours, the candle-egg will be ready.